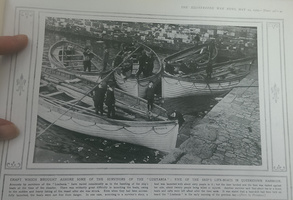 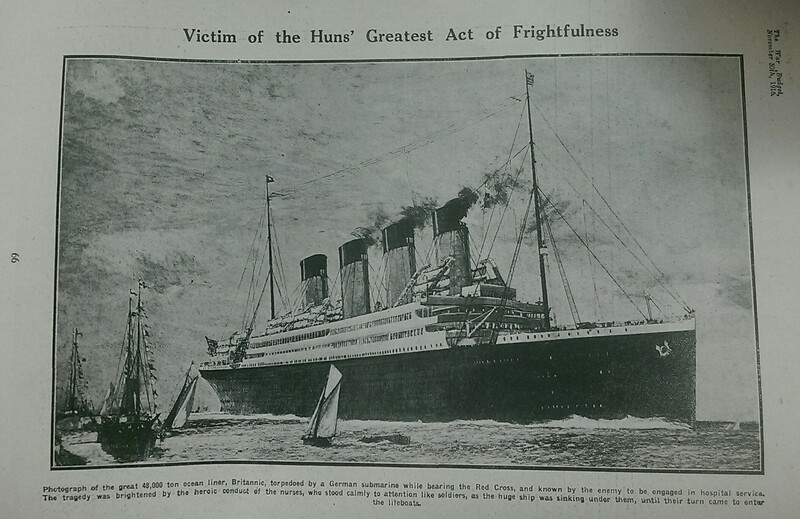 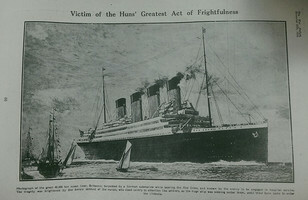 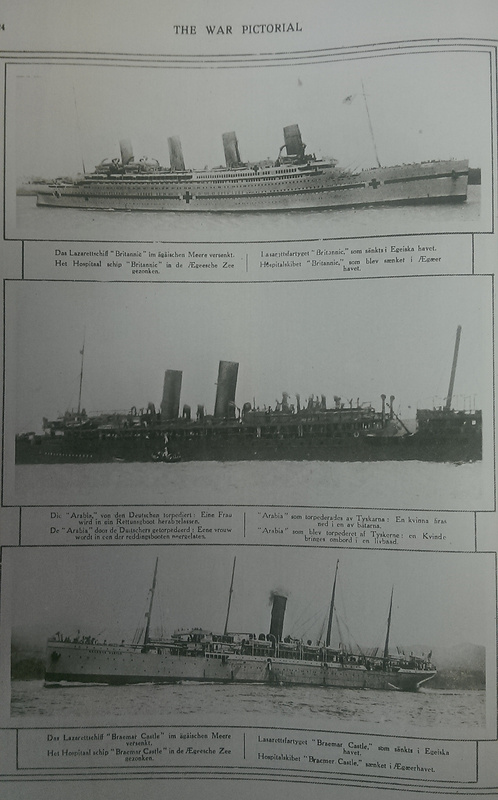 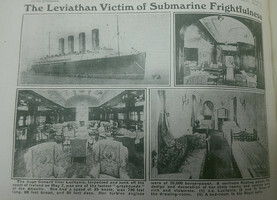 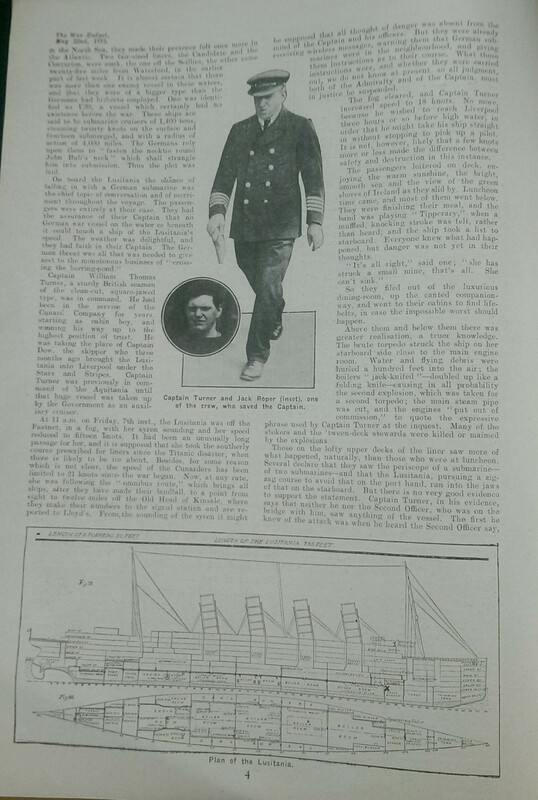 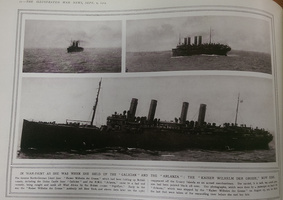 These images have been gleaned from the periodicals (mainly World War One journals) held by the Cambridge University Library; unfortunately the war periodicals did not produce much with reference to Ocean Liners or ships associated with their activities. 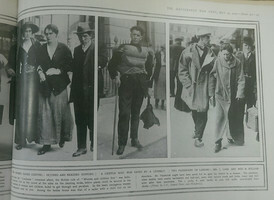 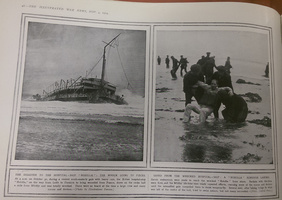 Due to various limitations of the photographic process, these images show some signs of distortion, usually caused where the page meetings the binding. 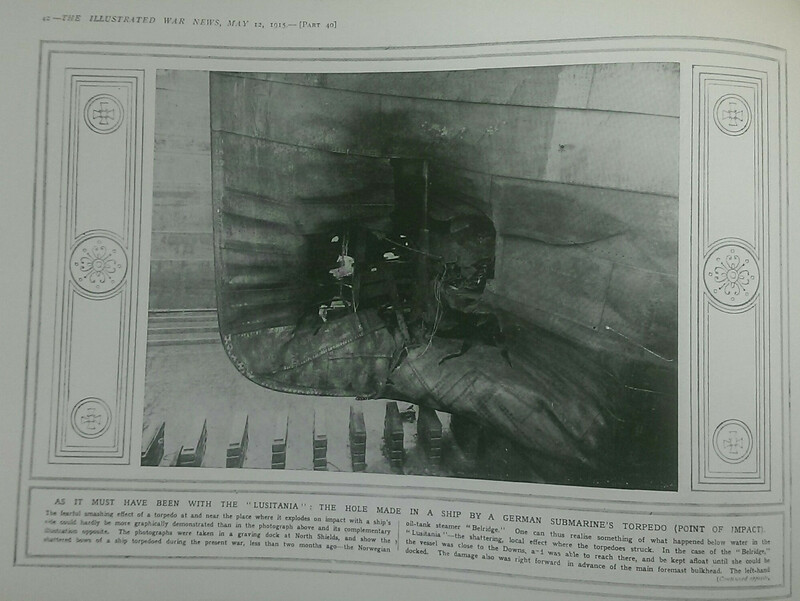 It is hoped that interested readers can manipulate these images (using, for instance, the Gimp's cage and perspective tools) to remove the distortion. 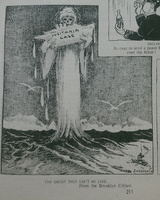 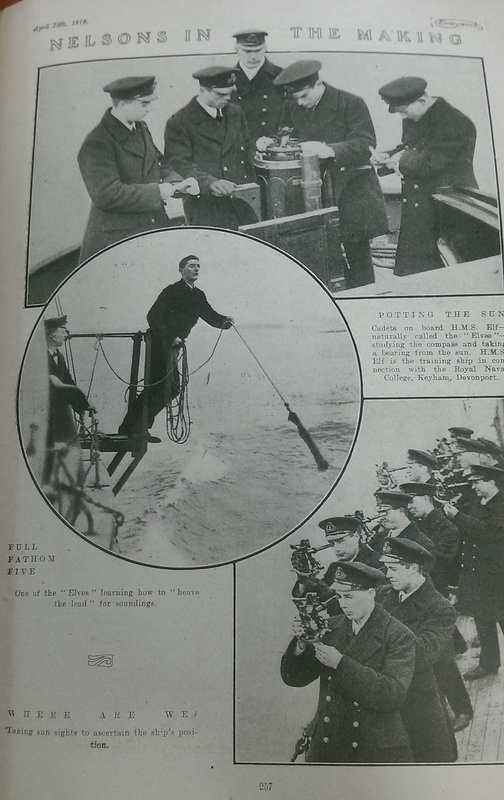 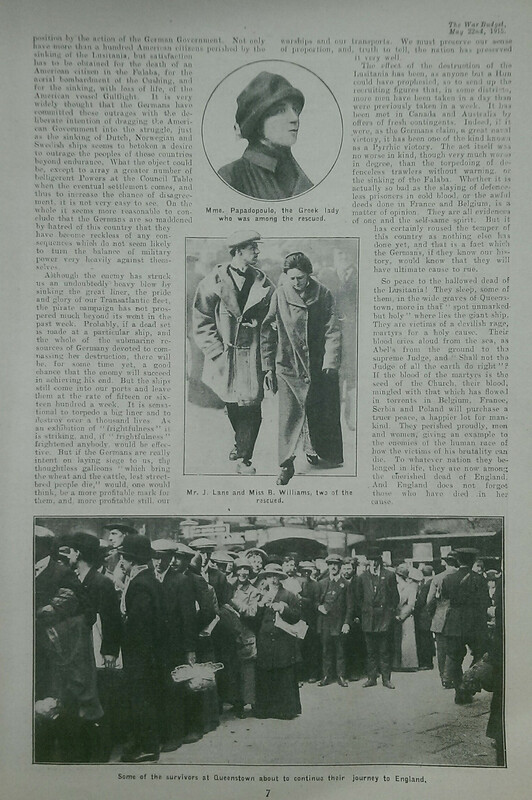 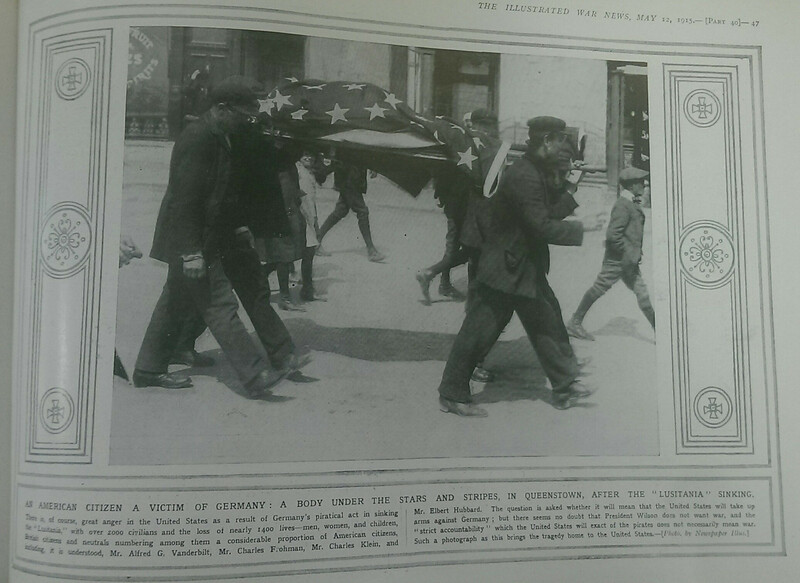 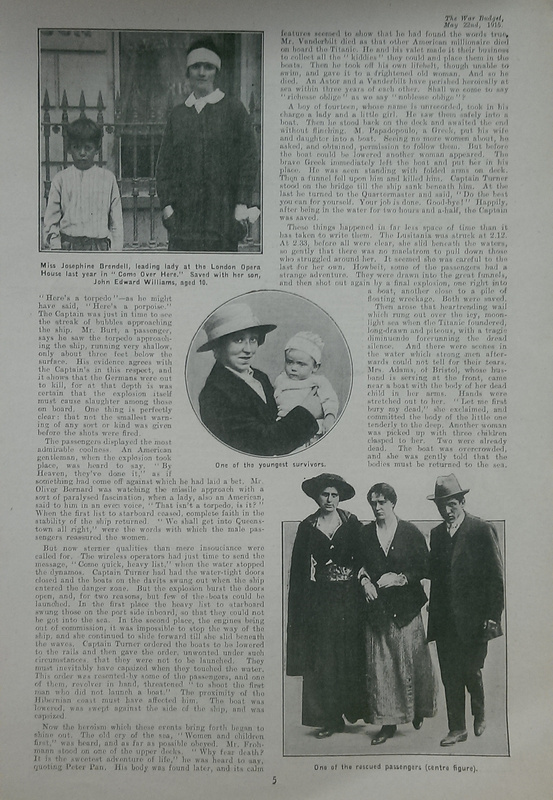 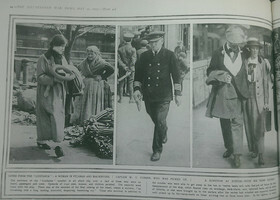 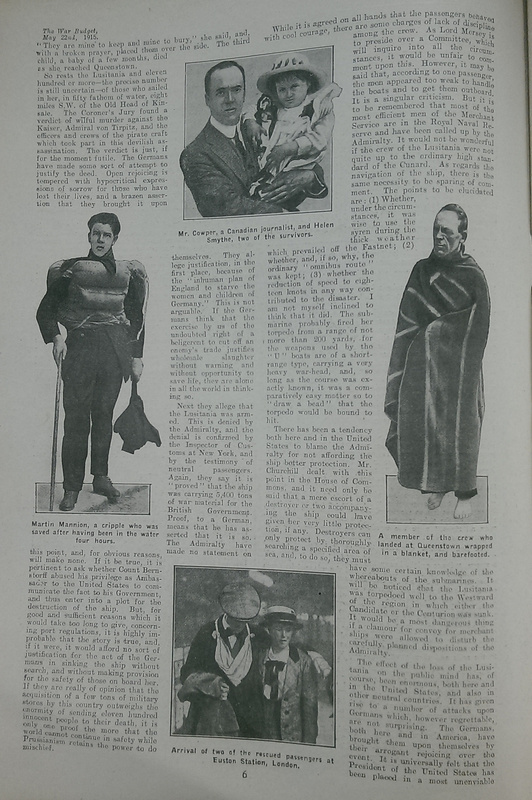 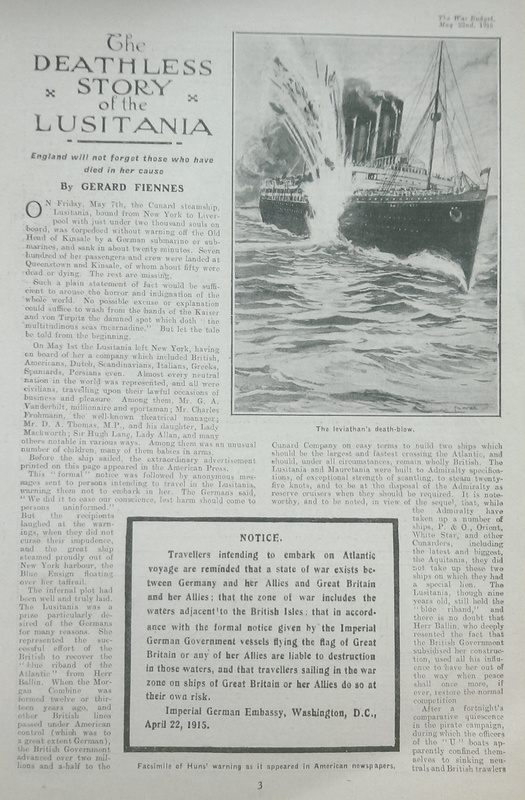 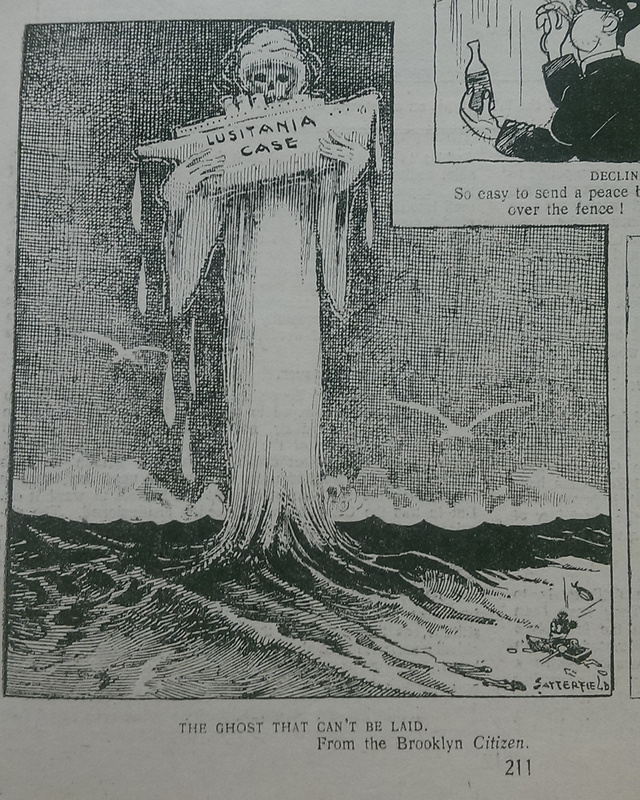 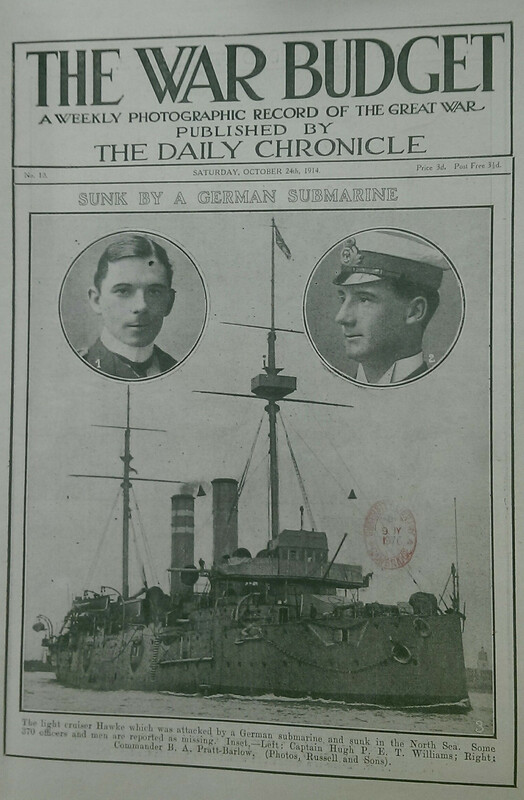 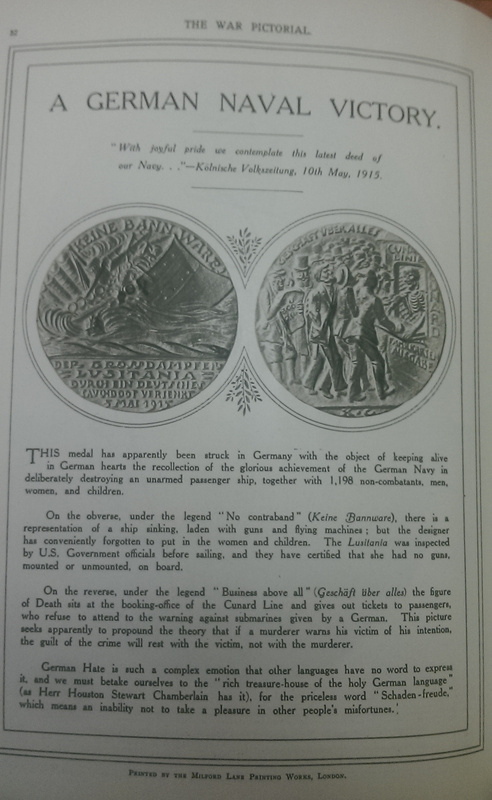 The War Pictorial: the British propaganda machine balks against the German Lusitania medals. 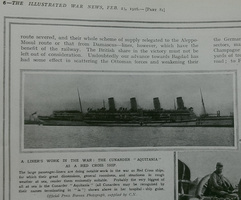 The War Pictorial: the Britannic, the Arabia and the Braemar Castle. 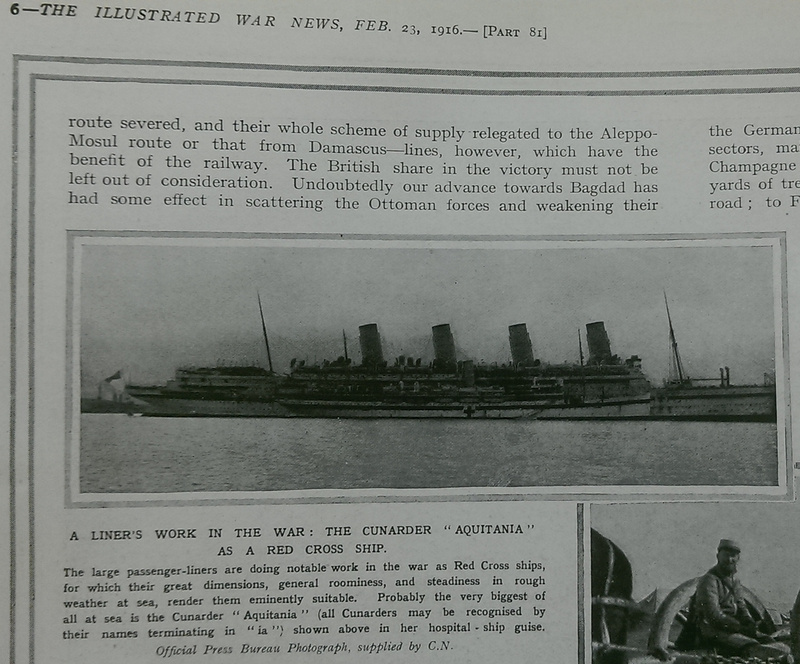 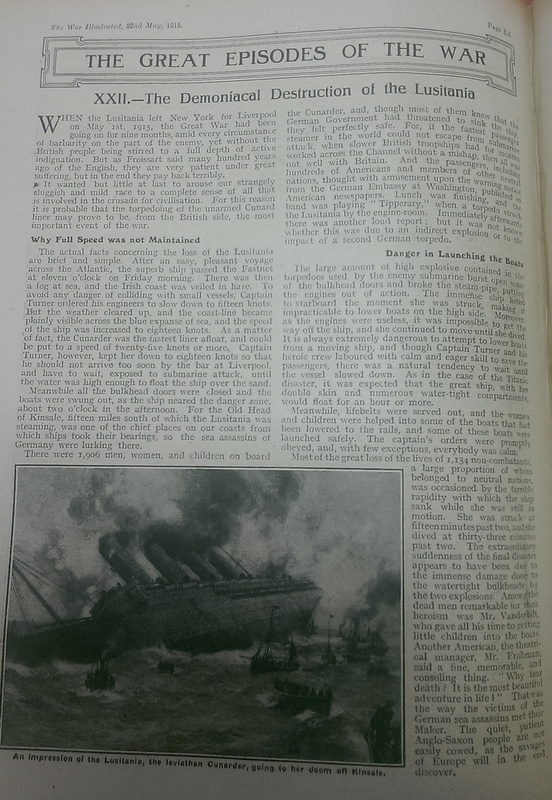 The Illustrated War; the Aquitania as a hospital ship. 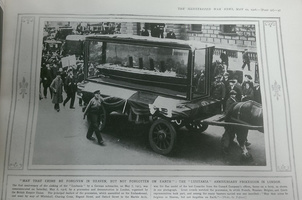 The Illustrated War; on the first anniversary of the sinking of the Lusitania, a model of the lost liner is paraded through London. 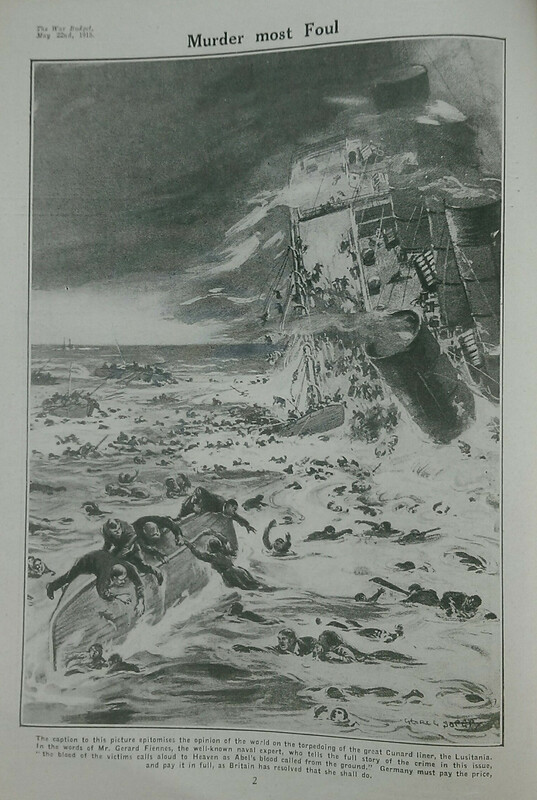 The Illustrated War; the Kaiser Wilhelm meets her fate, drawn by Norman Wilkinson who devised the "dazzle" camouflage and who painted the paintings in the Olympic's and Titanic's 1st class smoking rooms. 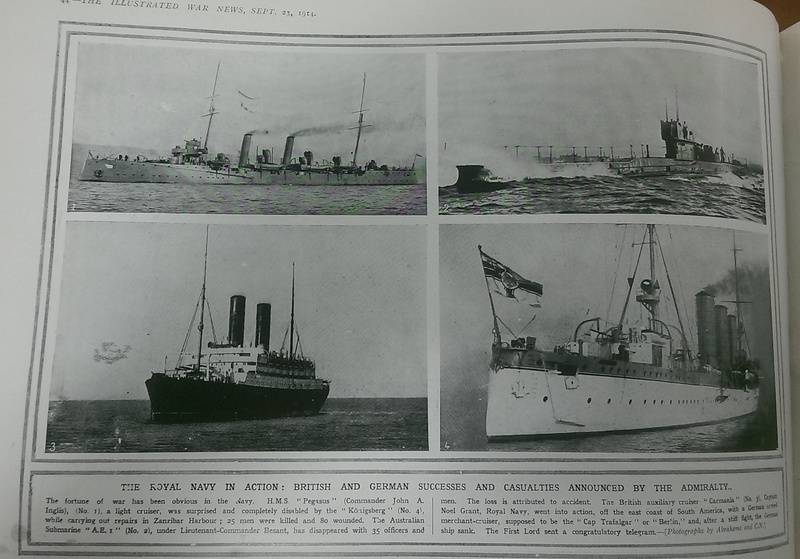 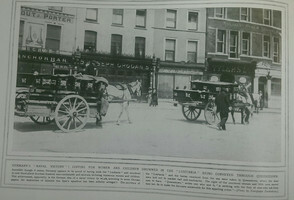 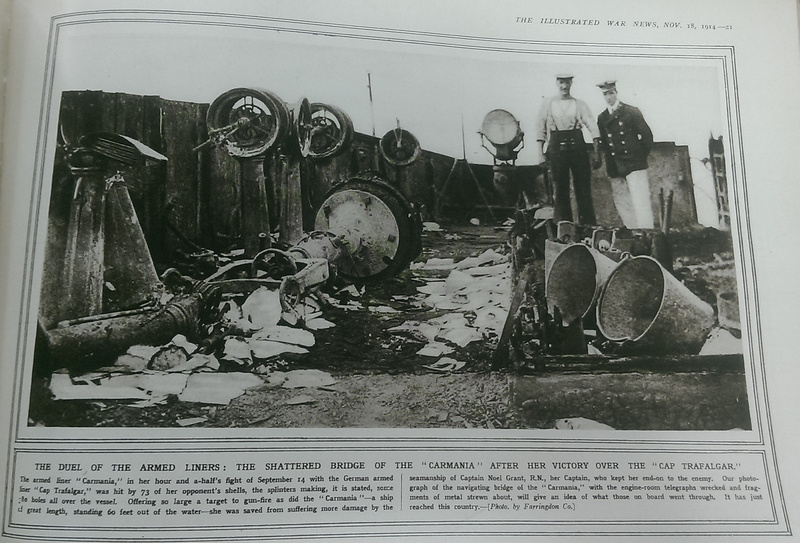 The Illustrated War; a selection of vessels, including the Carmania. 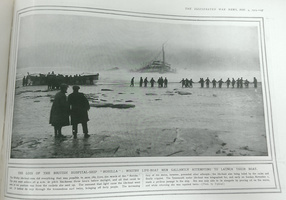 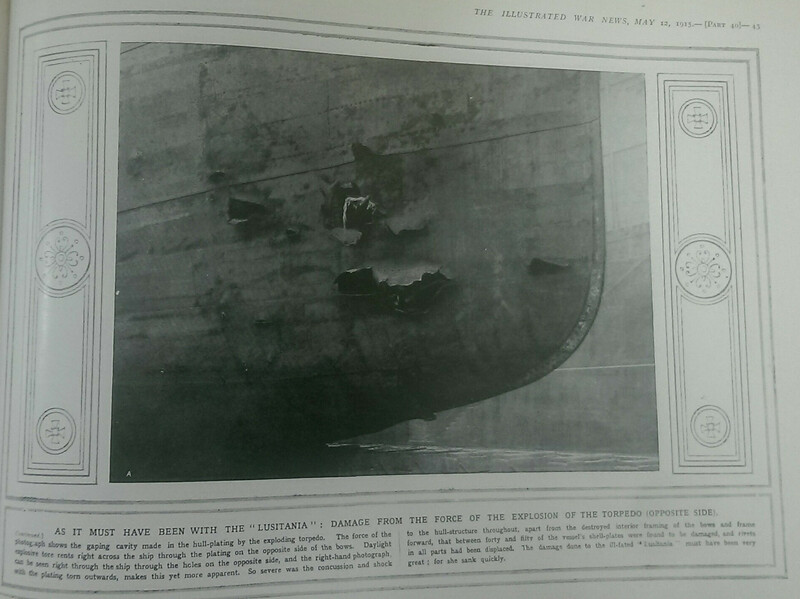 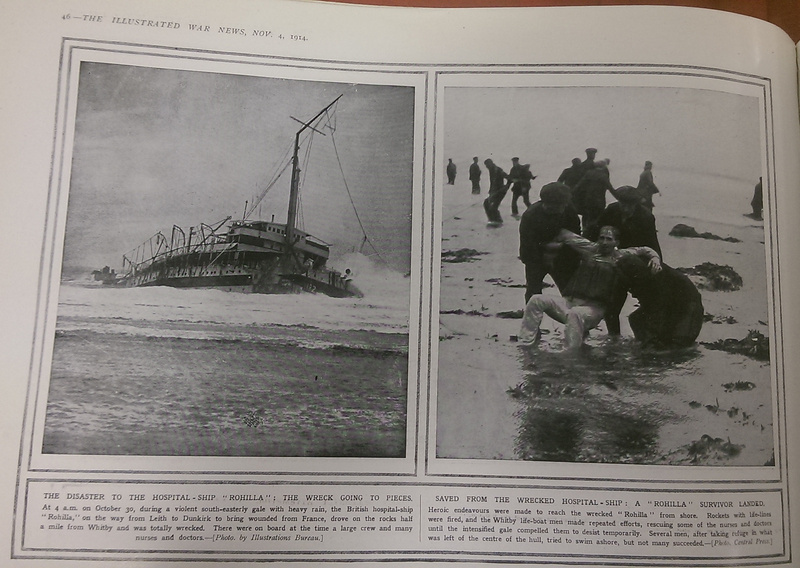 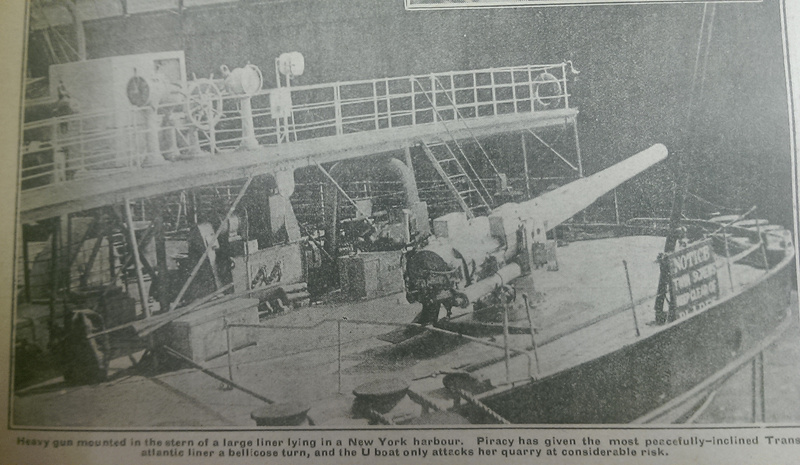 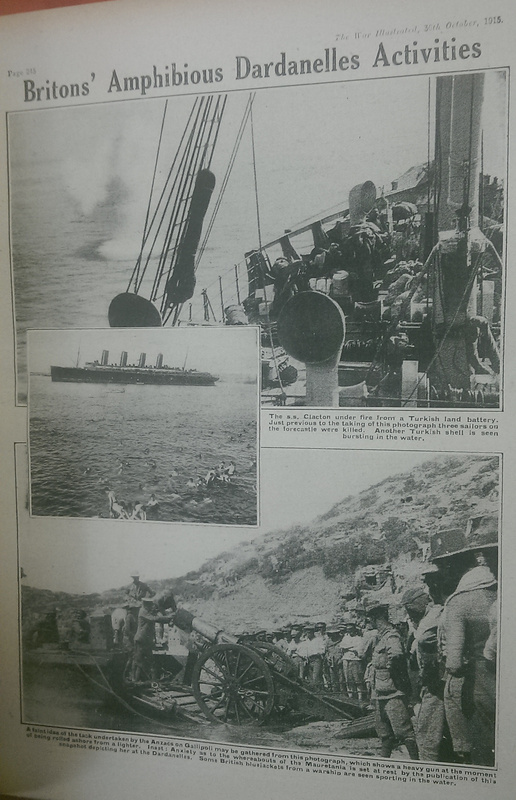 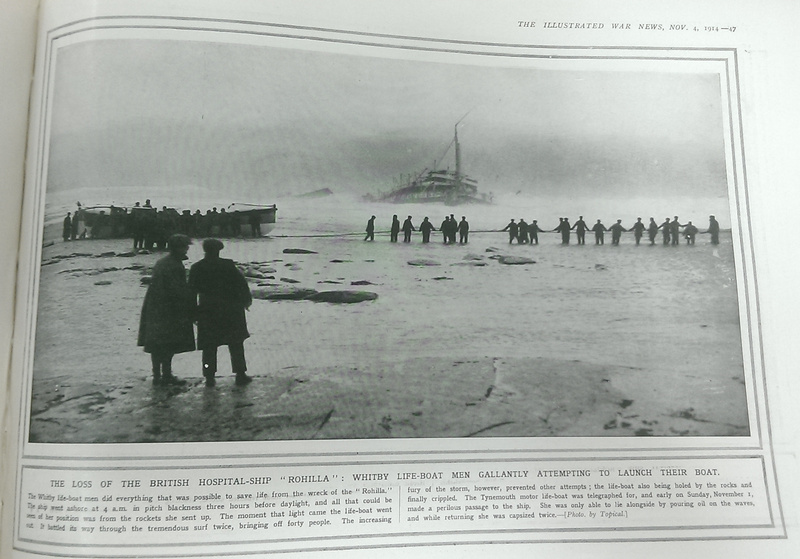 The Illustrated War: the hospital ship Rohilla runs aground. 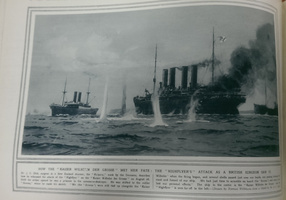 The War Budget: while not a liner, the HMS Hawke is of interest as she collided with the RMS Olympic in September 1911. 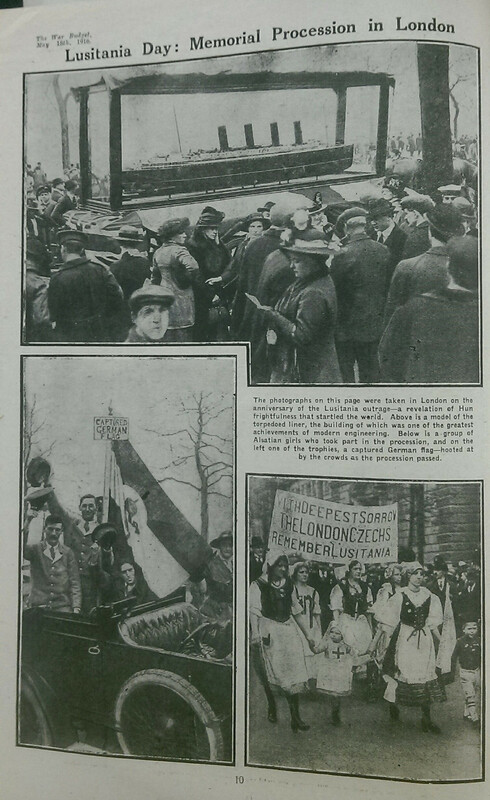 The War Budget: more pictures of the anti-German parade through London on the first anniversary of the loss of the Lusitania. 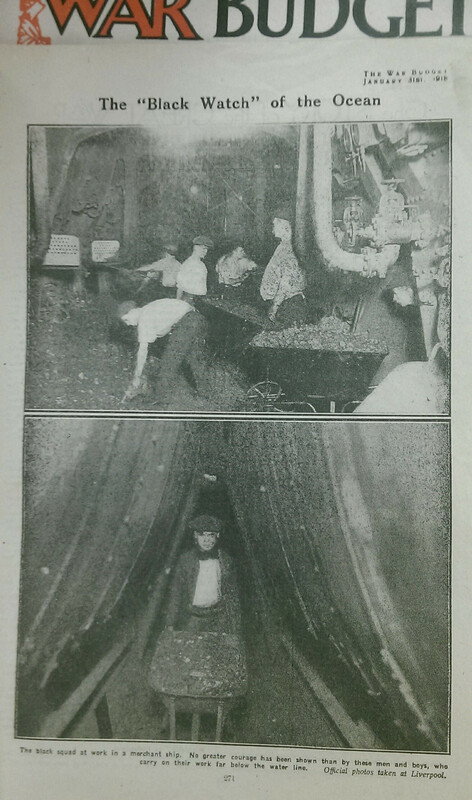 The War Budget: a scene in a typical coal fired boiler room of the period showing the space between the boilers. 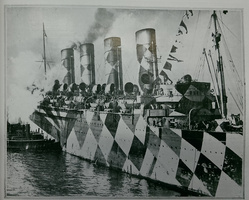 The Syren and Shipping (2nd January 1935): the Mauretania in her dazzle paint scheme. Please click here to return to my photos page.